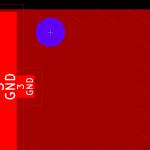 I’ve been working with KiCAD as my main schematic capturer and PCB layout software for a while now. One thing with this nice and free software I wasn’t pleased with, is that I was unable to add a via with adding a track to it’s placement. 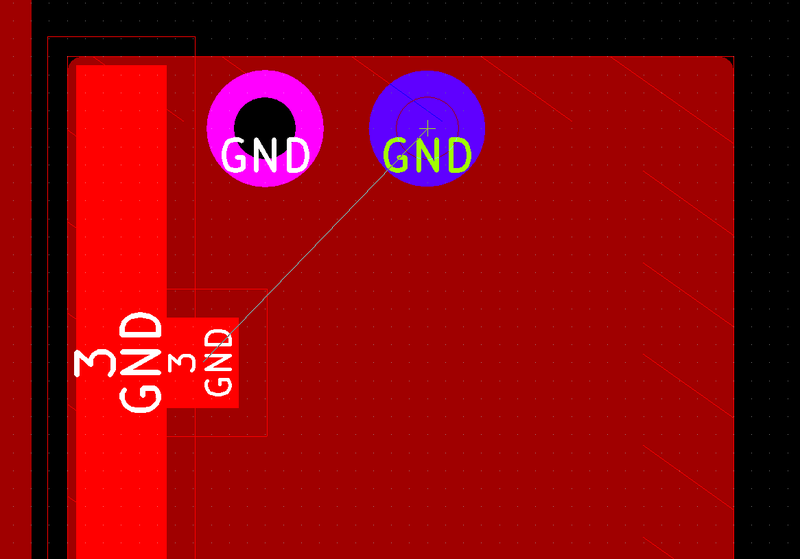 I have been stitching for all those ground vias I’ve been doing so far. 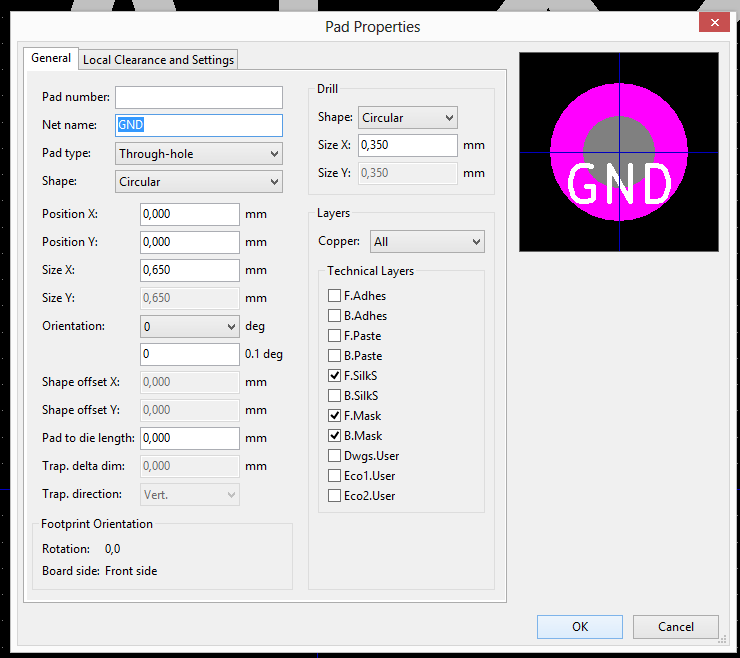 But that suddenly changed when a Chris over at launchpad for KiCAD told me that I could just do a simple footprint, with the via settings , i.e. the drill size, diameter, clearance settings, and last but most important: Net name. This was brilliant, as I do a lot of two-layer boards where I pour GND for all the ground connections. But when trying to name a new modules net name to GND, pcbnew told me that it was unable to name because it couldn’t find the net. 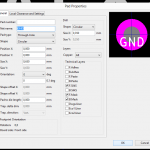 renamed the netname of the via to GND or any other, and then opening the module in the editor, saving it, as the name appeared on the via. 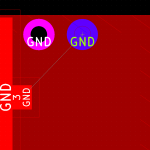 This was a very nice fix, because I can now easily insert vias all over the board to connect the grounds, using hotkey “O”, and find the correct module. 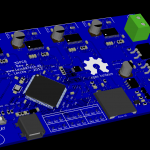 This is an easy fix, if you were trying to go from Eagle to KiCAD, which is a free, nice, open-source alternative. 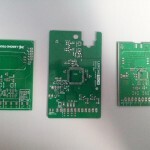 I’ve started using KiCAD for PCB designing about 2 weeks ago. 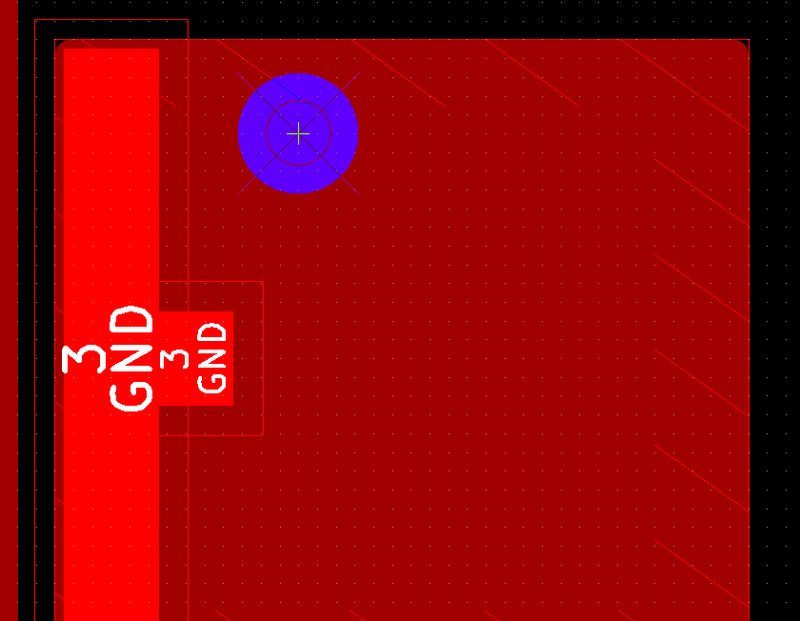 It has been somewhat weird going from Eagle to KiCAD, but it’s a good alternative and I really like the 3D function in pcbnew. 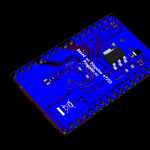 That being said, I have designed a board for PIC18F47J53, the same MCU which will be used in the new Pinguino board . 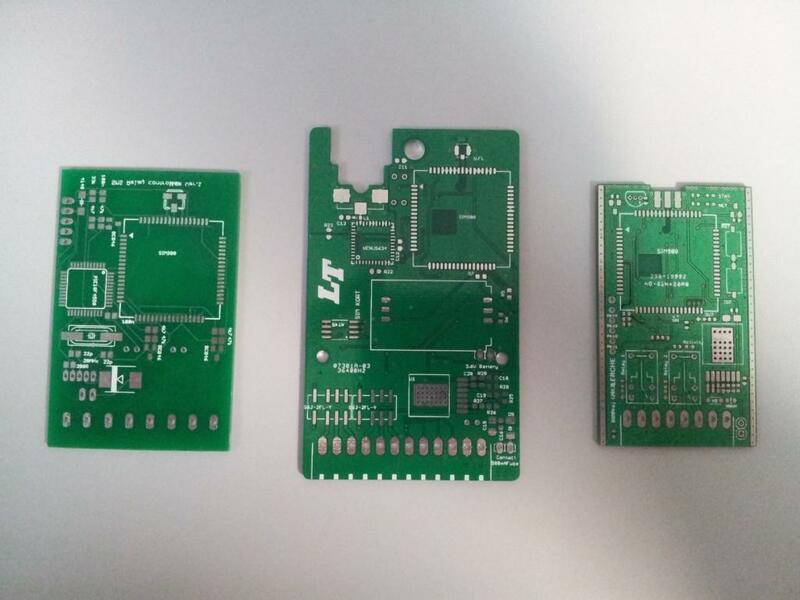 The PCB will fit in normal mbed designs (almost), only difference is that the mbed has 2×20 pin header, the one I designed is only 2×17 pins. but I really like to be able to develop without the board making a mess around my desk, as well as on a PIC. The board is a two layer, will probably be blue, red or black (haven’t decided yet). 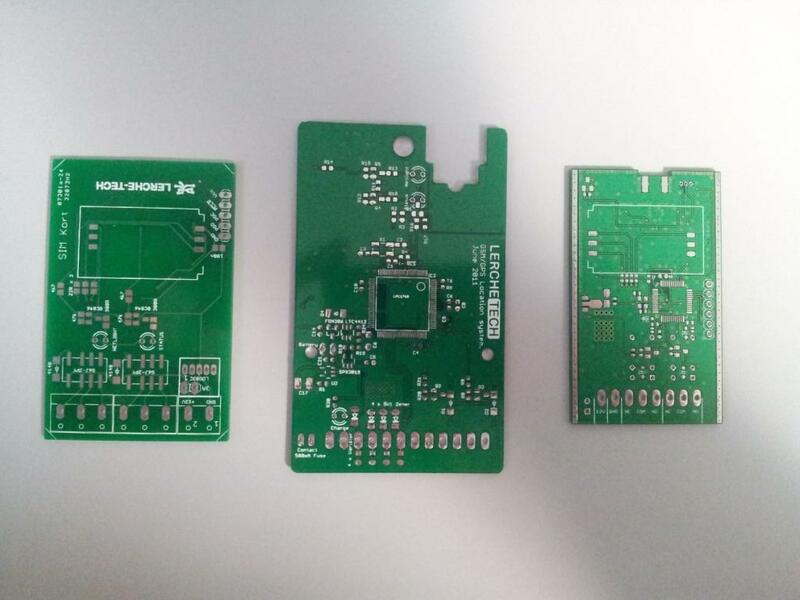 I’m still going over the design improving the tracks, vias and so on, but as soon as I have it, tested it, and done a simple design, I will do another post. 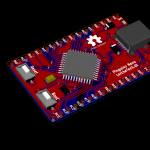 I’ve been working on a PCB in around 2 years now, a lot has changed through that time, starting with a PIC, went on to a mbed LPC1768, and recently I moved to the mbed LPC11U24, because is can be had in a TQFP48. 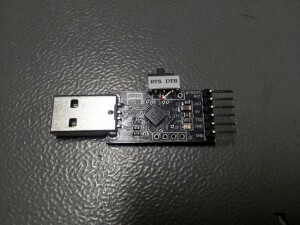 This sucker runs at 48 MHz and calculates in 32 bit. Nice. The board I designed contains all the necessary stuff to make the SIM900 work. DC/DC converter, simcard holder, some LEDs and before I changed it, I used N-channel FETs to translate voltages to the LPC11U24. It has now changed to a simple resistor divider. Through the ARM I’m running relays controlled through sms, which also can be used as inputs, as the common pins on the relays is connected through a current limiting resistor and a zener diode to the ARM. I have only got small C/C++ experience, but the software is about to get finished. 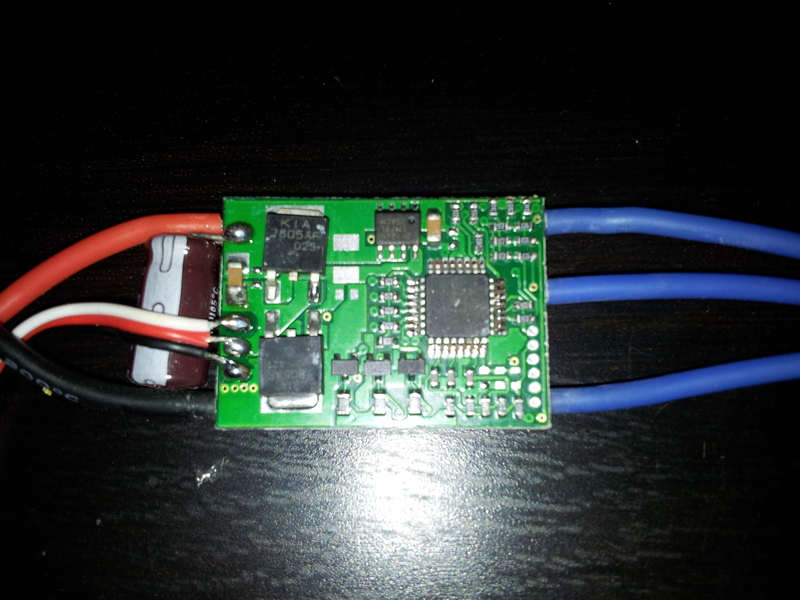 Right now I’m able to store commands to turn on and off relays, read temperature and read the status of the module. The only thing I’m missing is to be able to track the module with a sms, using triangulation from SIM900. But that’s being debugged right now. Why I’m writing is that I had a problem where SIM900 couldn’t connect to the GSM network after I had issued AT+SAPBR=1,1 command. I had to hard reset the module, due to an error. After this it wouldn’t connect at all. This was easily fixed by removing the simcard, booting the module, powering it down and refitting the simcard. Works like a charm!! I’ll post an image when I’ve got one. I always liked to design/make things smaller than they originally are. 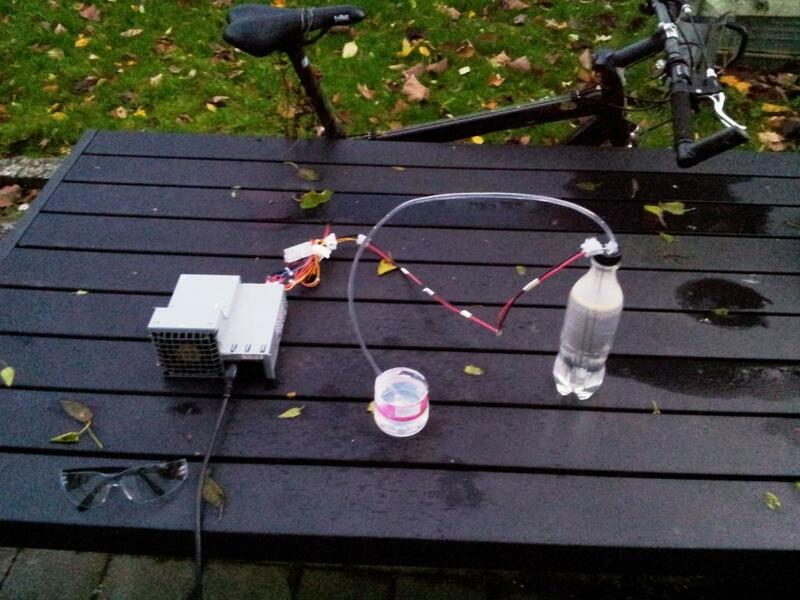 This is why I made this Water splitting cell, in a ear-drops container. with a screw terminal connected to them. 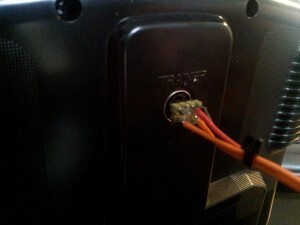 On the terminal, a pair of wires a soldered, making it easy to connect to a powersupply. 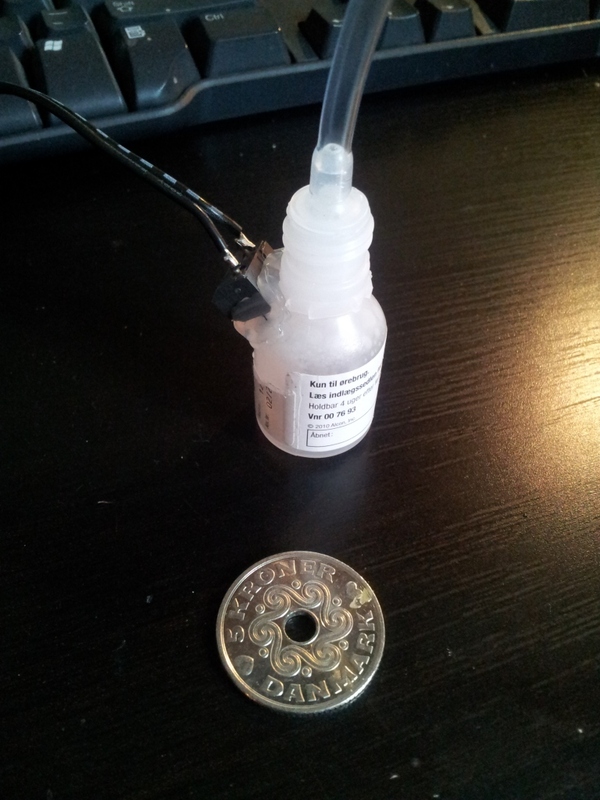 The coin is a danish 5DKK, it has a diameter of 28,4 MM (1.12 inches). After adding the water and a couple of drops of NaOH, the cell was almost filled to the top. 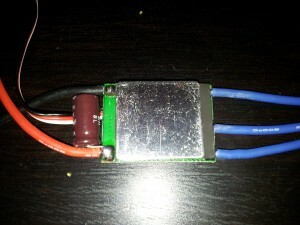 Connecting power to the cell, at 12V it draws around 1.5Amps. I haven’t got a build guide, but whenever my ears have a defect again, I’ll do another, to show you how it’s done. Always remember safety when you do things like this. I’m not responsable for any damage to you or you equipment. One of the things I find interesting and have found interesting since school, is hydrogen. This simple atom can be real fun to do stuff with. One thing that is always interesting is make something that goes boom. In my case, I replicated a water splitting unit, just for the fun and the bang. 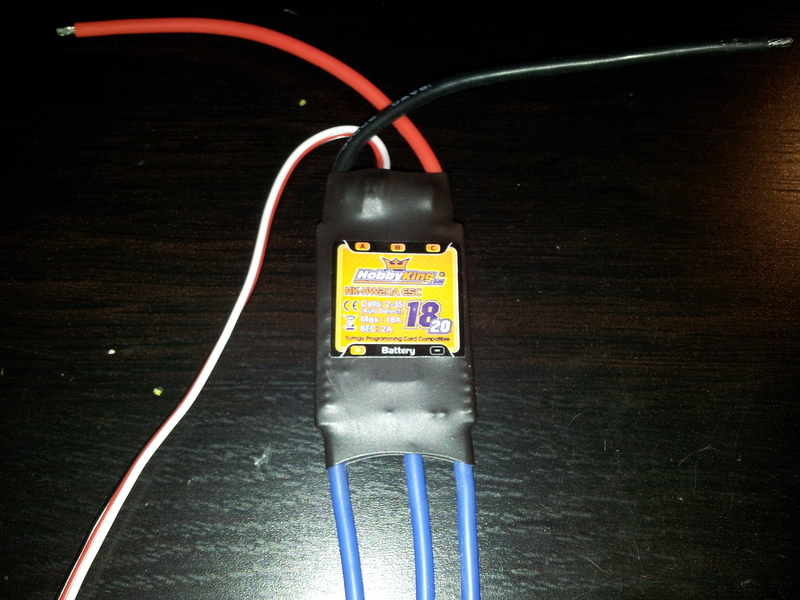 as I needed around 12V with enough current to make suffecient hydrogen and oxygen. Goggles in the lower left corner, those will be weared as soon as I turn on the powersupply, just to make sure nothing happens to my eyes. And of course also when I light the bubbles. 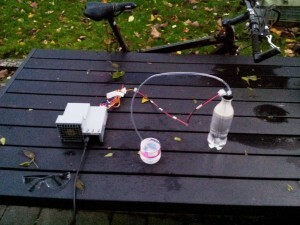 The setup is a single computer powersupply, where the 12V output was connected directly across the stainless steel bicycle spokes. A 5 mm rubber tubing hotglued to the top of the bottle lid, running down to a container with soap water. In the cell itself, just plain tap water, but added a bit of NaOH (Toilet cleaner, or whatever you call it), 30 mL or so. WHEN YOU HANDLE CHEMICALS, MAKE SURE TO WEAR GLOVES AND GOGGLES!! Also, a good ventilated area is a nice thing to work in with these thing. 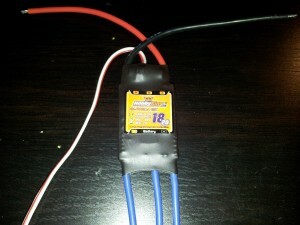 HobbyKing SS series 18A ESC. it should be able to drive the DT750 good enough, with or without updated firmware. With this in mind, I bought the HobbyKing SS 18A ESC. 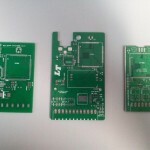 and when I received the ESC’s, I was that they were fitted with the ATmega48 MCU. This is nice, as I own a USBasp, so the new firmware for those can easily be programmed to those. BUT: Some of these boards have their nRESET pin disconnected through the fuse bits. The SO-8 chips are soldered on in pairs, not very nice work, but the solderblobs between the pins are okay, as they’re connected to the same spot on the PCB. The P-FETs are Si4425, -30V -11.4A@Vgs= -10V. The N-FETs are Si4856, 30V 17A@Vgs= 10V. One thing I noticed was the one of the boards was fitted with the A1730 P-FETs. These are -30V -6.5A@Vgs= -10V. Those FETs will probably do fine, but I really don’t like the idea of just replacing one part with any other. The FETs are chilled with a layer heat-transporting goo of some sort, it’s black, and sticks a bit to the FETs. a bunch of resistors, some transistors and of course the ATmega48. 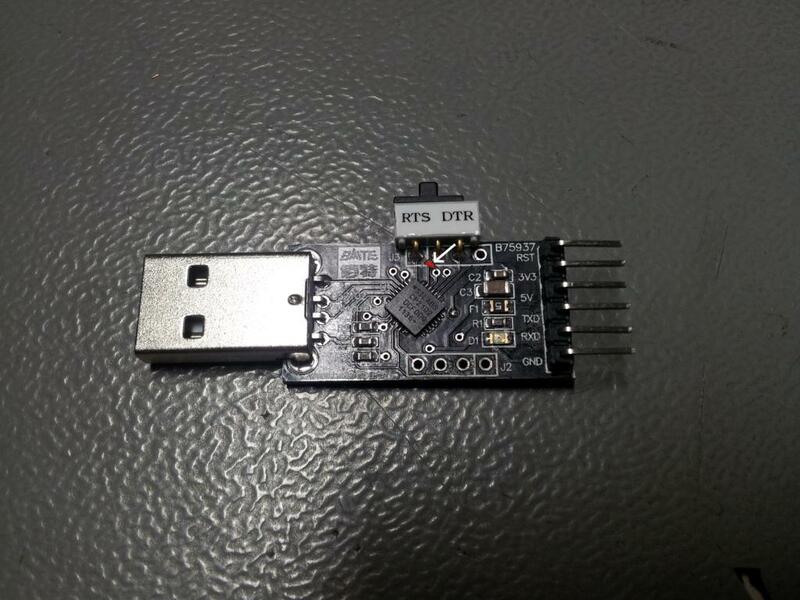 nRESET – Pulled up to Vcc by 4k7 resistor. 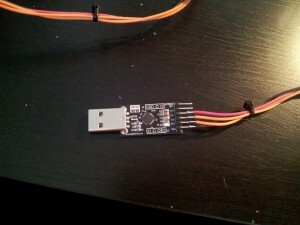 I don’t now what my idea with this post was, other than inform you about the product from HobbyKing. I’m not responsable for any damage to you or your equipment. Forgot the trainer cable for HK-T6A transmitter? Yeah, that’s what I did. Found a guide here, followed it and modified a bit. Fortunately I have a bunch of CP2102 USB to Serial converters laying around. 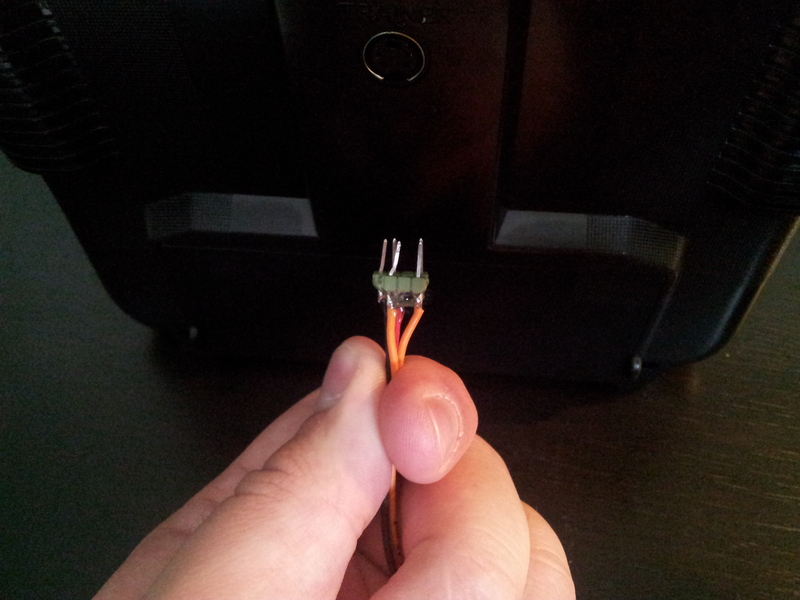 the wires from the trainer port of the HK-T6A transmitter. Remember when you plug in the CP2102 the drivers may have to install first. adding the pinheaders to the wires. When removing the header from the trainer port, the header (which consists of two row), moved from each other. As I were epoxy-fying my DT750 motors, I just pushed in the headers, and put a little expy between them and around the wires. This will hold it nicely together, making it easier to connect the trainer port. Tested with this software. It works like a charm! Now I’m able to reverse the channels. Looong time since I’ve been here. But now let’s try it again. I’m going to build a Tricopter, based on rcexplorer’s guide. First of, it needs a frame. As I am the lazy kind, I bought the frame from rcexplorer’s site. I ordered the frame set and got an e-mail confirming this from him in person. The frame itself is perfectly cut, putting them on top of each other confirms that now slop was involved in the cutting proces. The frame was sent through the post office, at friday and got here monday. (I live in Denmark, not far from Sweden). 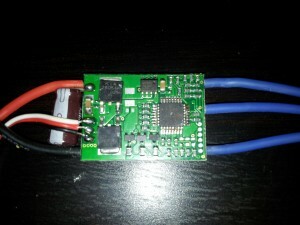 I ordered all the electronics from HobbyKing, including a VERY cheap Transmitter/Receiver pair. A complete list of the components will be written in this blog, once the build is complete. I bought the pinewood in a shop called Bauhaus, they had it for around 1.5$ for 90 CM. 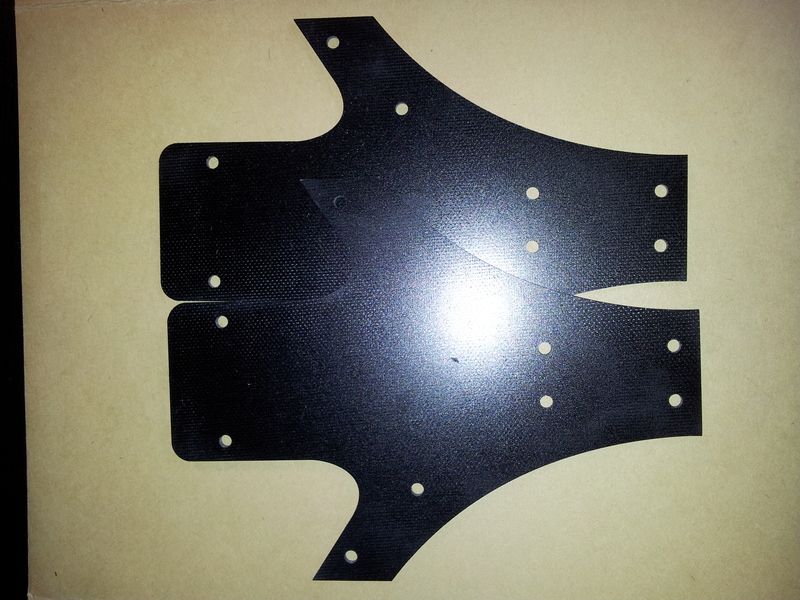 Two of those, cut in 40 CM length for arms, and drilled a hole in two of them, for the frame mount. Next is to assemble the frame and pinewood. 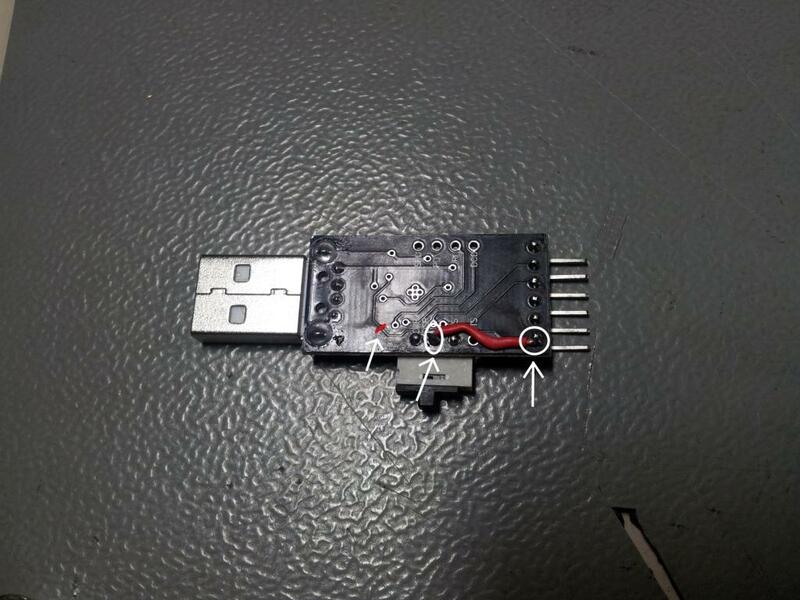 I needed a USB to RS232 (TTL), converter. 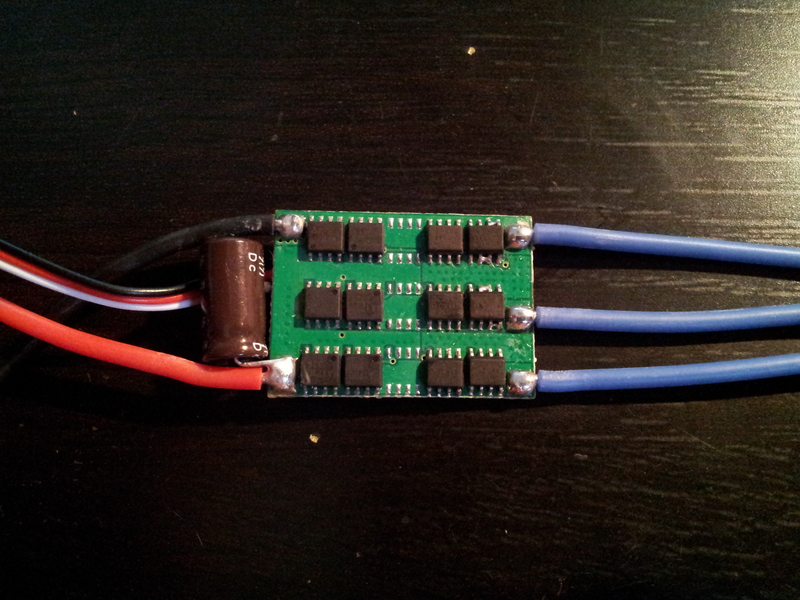 I bought one of those cheap Ebay CP2102 converters, and tried using it. But the RST pin on the connector is Reset for the CP2102 chip. This wasn’t the idea, as I needed to connect it directly to on of my boards. 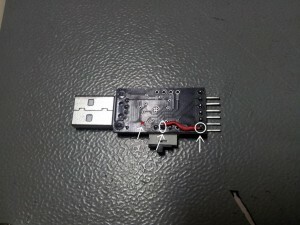 As you can see, the switch is able to connect either the DTR or the RTS to the output pin. The switch I used was from RS, one I just had laying around. Maybe some of you can use this, but I’m not responsible for any damage to you or your goods.